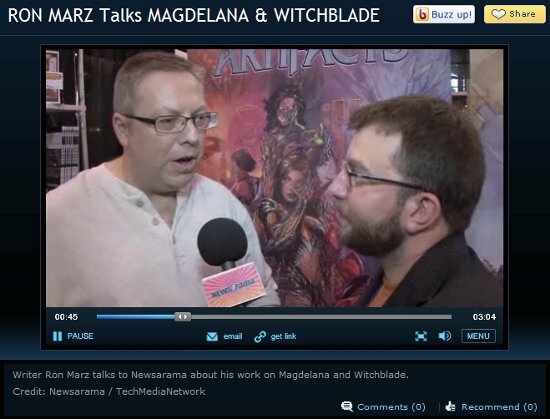 One more video shot at New York Comic Con last fall has surfaced, with me talking about what’s going on in the Witchblade and Magdalena monthlies. Enjoy! Video link has been fixed! 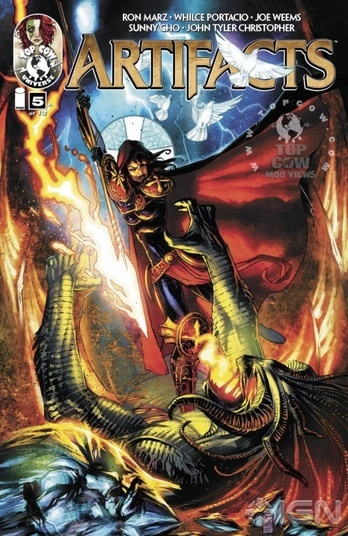 Artifacts #5 hit stores the end of January, and here’s ourusual review scorecard. The issues marks Whilce Portacio’s debut as artist, taking over on the second arc after Michael Broussard’s start turn on the first arc. I’m pretty biased, but this is some of my favorite Whilce work ever. Wait ’til you see the epic fight that takes place in issue #6. I also want to direct you toward a new podcast called “Doughnuts and Top Cow,” which is currently examining each issue of Artifacts. The episodes can be found here. Comic Geek Speak’s episode 1009 also takes on Artifacts #5. Give a listen.